Naked oat. 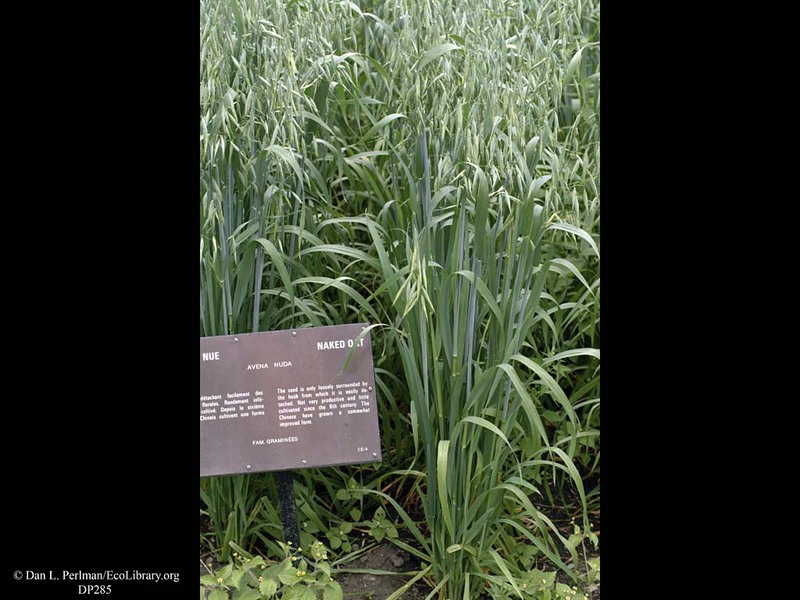 This species of oat is occasionally cultivated for human food. Threshing easily separates the husk and seed--hence the scientific name "nuda," which means naked.